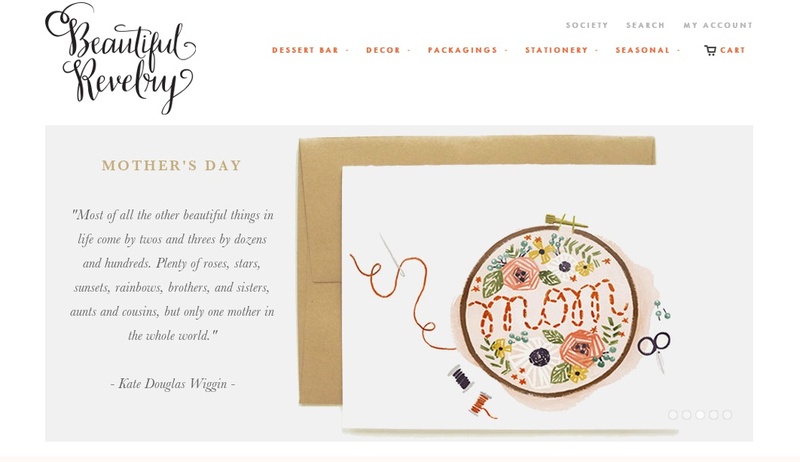 A little shout out to the lovely Ann of Beautiful Revelry who has just successfully re-launched her tasteful site entirely dedicated to "the cream of the crop of party paraphernalia". I take the occasion to announce you as well that I have been nominated a style editor of Beautiful Revelry Blog, make sure you check my monthly column Style it Yourself! the loveliest "About page" I've seen in a while! Hold on! 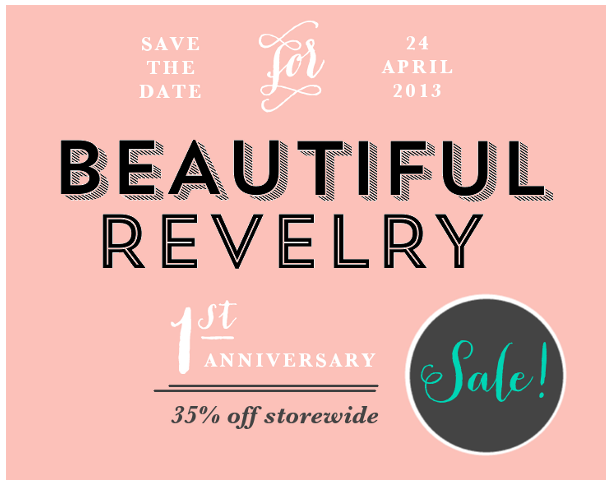 If you've read that far, there is one more reason to celebrate... Beautiful Revelry is turning 1 tomorrow and there is a 35% off storewide on April 24, 2013! Congratulation Ann for the 1st Anniversary of your business and for keeping us on our toes almost daily with so many pretty party goodies. Cheers to our collaboration and future successes! !